It’s been tough. Real tough. Dakota has spent his entire life so far as the only boy in a family of seven. He even has a female dog. But recently he felt like he finally found his sport, his team, and the right group of guys to hang out with, learn from, and become a better man with, too. But now his knee injury is causing him to feel like that’s sort of been taking away from him somehow. He made varsity as just a freshman. That’s a big deal! And he did it as a freshman who hadn’t wrestled before. And that’s very impressive. That’s something he can be really proud of for the rest of his life. Furthermore, when he goes out on those varsity wrestling mats as just a freshman, his teammates, coaches, and parents in the stands know that he’s going to win at least a couple of matches. Now, as Dakota’s dad, a special education/history teacher, a fellow wrestler, former coach, want-to-be wise man, and aspiring great dad, I still don’t believe that a dream deferred is a dream denied. It’s just a dream on a different time schedule. Furthermore, I also know that if for some reason that dream doesn’t eventually materialize, then maybe not getting that dream gives one their destiny instead. 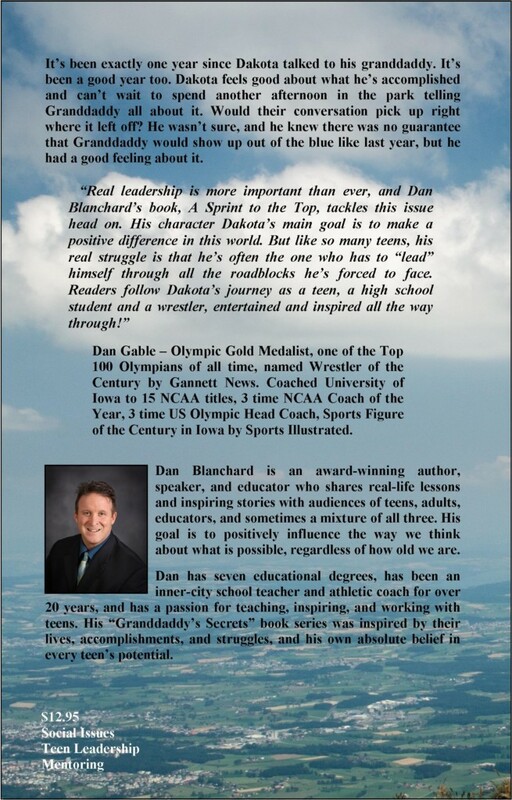 For example, Dan Gable not getting his dream of an undefeated college wrestling career at Iowa gave him his destiny of eventually becoming the greatest wrestler and coach there ever was. It also gave him the destiny of being named the Athlete of the Century, as well as have his own Dan Gable Wrestling Museum. 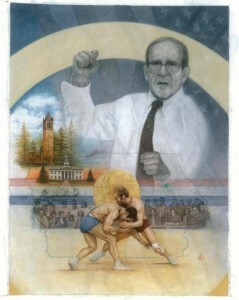 You see, in Dan Gable’s final match in his final season, he lost to Larry Owings of the University of Washington. Up to this point, Dan Gable had never been beaten. And believe it or not, Gable says that this loss to Owings helped him refocus on wrestling and got him to step it up to the next level where he’d eventually become a legend that the whole-wide wrestling world will never forget. He went unscored upon in the Olympics! Now back to Dakota’s knee. On this Monday night, shockingly, we discovered that Dakota’s knee was bigger than ever. And now it has some discoloration, too. And to add to the storm, he’s also now ten pounds over his weight class. Things are not looking good at the moment here in the Blanchard household. “What the heck is going on here?” I’m wondering… He had his knee drained on Friday. It should be getting better. Not worse! And we’re losing control of his weight, too. Our midweek match was Senior Night. And Dakota is once again riding the team bench, and I’m up in the stands watching his team. They only have nine varsity wrestlers to fill the fourteen weight classes. They wrestle well again but come out on the short end of the stick again because of all the forfeit points they have to give up. The boy who steps out from the other team who would have wrestled Dakota if he wasn’t injured is a boy named Tommy that Dakota met over the fall and made friends with at John Knapp’s KT KIDZ Wrestling in Rocky Hill. Me and other boys’ father, who I now also consider a friend, conversed about how it would have been awesome to see these two wrestle each other. But, unfortunately, it wasn’t going to happen that night. Saturday’s tournament was a long one. However, there were a lot of bright spots, even though Dakota didn’t wrestle. His team did very well. A bunch of them placed in the top four. Also, Dakota’s friend Tommy, who he was supposed to wrestle on Wednesday night, placed 3rd. Dakota was very happy for him, and his teammates. It was a long day, however. 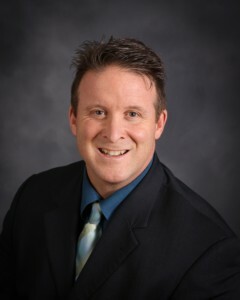 But, in the late morning, I was approached by a woman who asked me if I was Danny Blanchard. Whenever someone calls me Danny, I know they must be from East Hartford. She then shared with me that she was Kim Miller. Kim is the sister to Connecticut fallen Trooper Kevin Miller. Kevin was my dear friend, teammate, and brother in combat from the good old days of the 1980s when we both wrestled for East Hartford High School, and we’re kicking a lot of butts together out there on those mats. 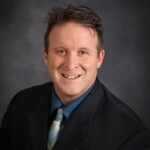 If you want to learn more about my old teammate and friend Kevin Miller, please read this blog I wrote about him: http://granddaddyssecrets.com/old-buddy-kevin-miller-ct-state-trooper/. A short while later, another guy approached me to say hello. It was Chris Grant. I had met Chris many years ago back in the wrestling world. And thanks to social media we have been able to stay abreast of what each other has been doing. However, it has been a lot of years since we have actually physically seen each other in person. We did a little catching up, too and it was great. I love it when people from the old days are brave enough to come up and just say hi. I don’t always recognize everyone right away. And I’m not always good with names. But, I am always so grateful and happy when I do get to talk to people who I shared a history with. So, thanks Kim Miller and Chris Grant for stopping by to say hi and sharing a moment with me again, and for saying hello to Dakota, too. Late in the day, I got a special treat. The referee from East Hartford, Dave LeBlanc, approached me right before taking the mat to tell me that my old coach had entered the building. 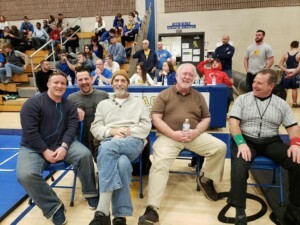 On the other side of the gymnasium, my old East Hartford High School wrestling coach Steve Konopka was sitting with Windham legend wrestling coach Brian Crudden. 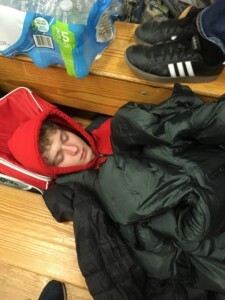 Well, as I said earlier, it was a very long day as most wrestling tournaments are. However, wrestling eventually ended, wrestlers collected their trophies, and old friends and new friends together made their way toward the door to go back to the places they all came from. On the way out the door, I bumped into Coach Crudden again, and he asked me where we were wrestling on Wednesday night because he wants to go watch us wrestle again. He also mentioned something about maybe doing some kind of summer picnic or something with the team. *Also, please comment down below, and share with your friends. Thanks.